Join us every Wednesday for early morning networking! 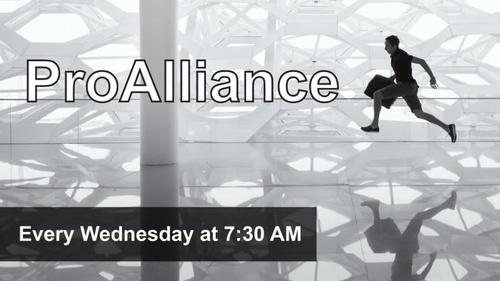 ProAlliance meets each week at the GNFCC office. Arrive at 7:30 am for a light breakfast, enjoy casual networking and break into small groups for a powerful time of connecting. This format allows you to share information about your business/work in a non-threatening environment, develop leads for potential new business and help others reach their goals. Any employee of a Chairman's Circle or President's Level member may attend at no charge! Use your company login and password to automatically register for FREE .